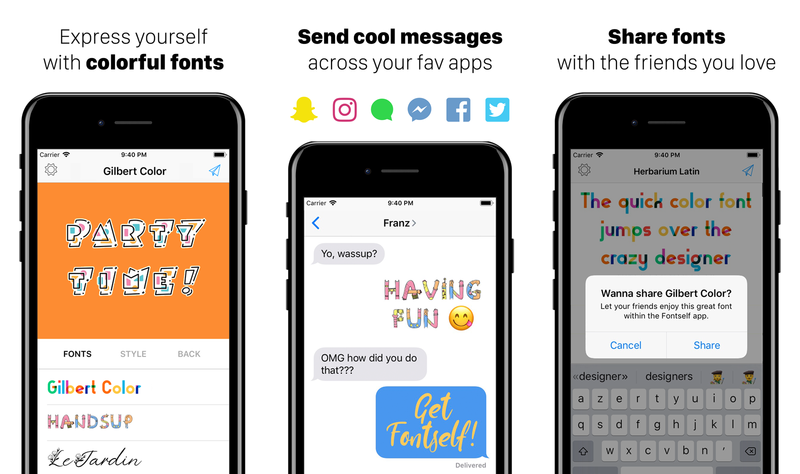 You can now very easy send creative messages using your own fonts right from your mobile device, and even share your fonts with friends. To publish on font to mobile, you just need Fontself Maker for Illustrator (update to version 3.0 or newer) and an iPhone or iPad (running iOS 11 or newer). Your friends will just need the free Fontself app to send messages with the typeface you will share with them. To help you enjoy your desktop fonts on mobile or the web, we built Fontself Catapult, which is a hosting solution for storing and using fonts online. Now that your font is hosted on the Fontself Catapult web service, you must synchronize it with the Fontself mobile app. Follow instructions to download the app and sync your fonts. Now that your fonts are ready to be used, you can also share them directly from the Fontself app. They will get redirected to download the free Fontself app and it will automatically sync your typeface into their app.